One of the newest members in the Order of the Griffins has turned traitor, murdering one of the Secret Five! Only Sarah can prevent the Order’s destruction! • HOP ABOARD THE ROYAL GRIFFIN! 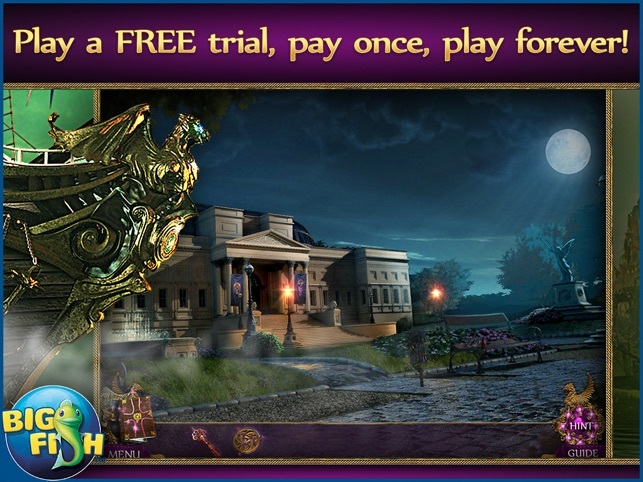 You play as Sarah, the daughter of the leader of the Order of the Griffins. After receiving a phone call from your father, you’ll need to dive into an adventure of epic proportions to stop a traitor and save your father before it’s too late. 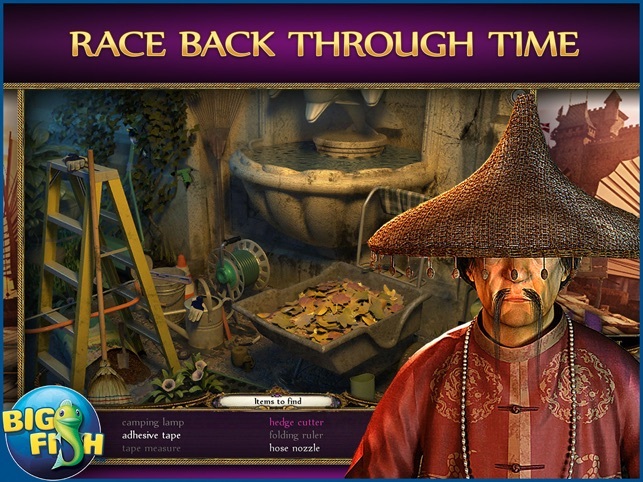 Take on various hidden object scenes and puzzles as you investigate stunning locations in both the present day and the past via a time-traveling ship. 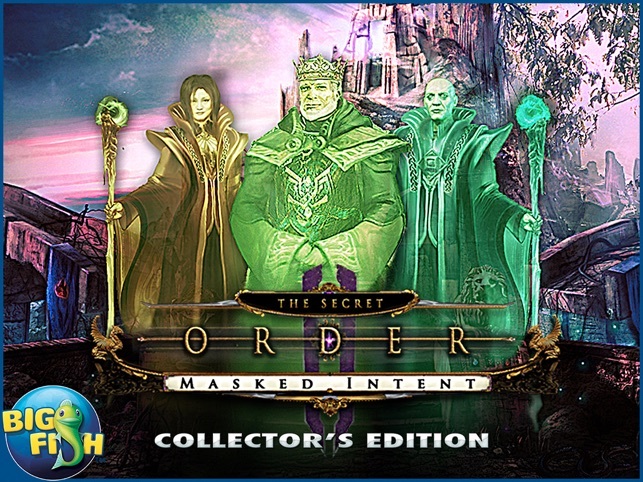 Hurry to find a magical scepter—the one artifact that can subdue the mask being used to wipe out the. 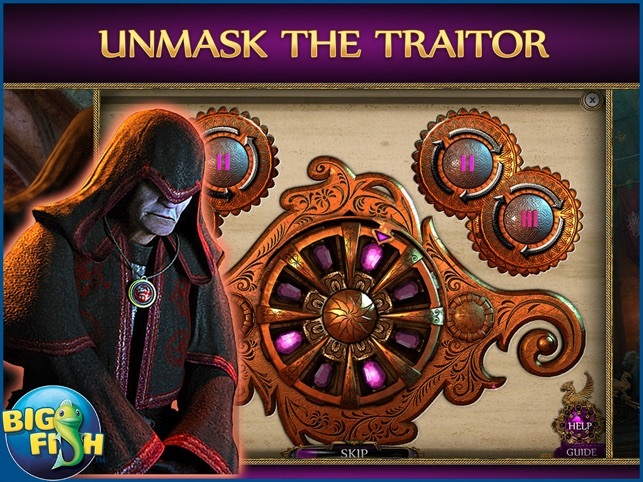 Use your wits to counter the traitor’s grab for power! 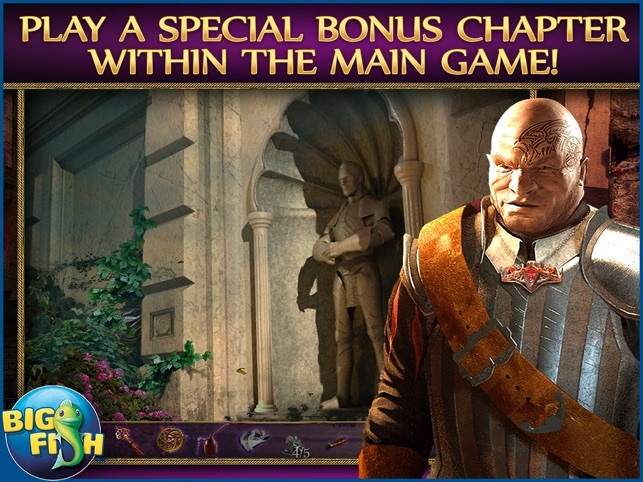 • PLAY A SPECIAL BONUS CHAPTER WITHIN THE MAIN GAME! Enjoy exclusive extras such as beautifully detailed wallpapers, concept art, and all your favorite mini-games and puzzles! Yes, the trial is short...but the actual game is longer than most bf games. The way the graphics and scene movements were created gives a feeling of realism and actually being there...which I adore. The game would be 5 IF the HOGs were better: Sadly, the hidden objects are difficult to see because they're tiny and half hidden behind other objects. But the mini-games are unique and fun. But other than that...it's a great game. Very creative storyline. Great graphics. Transport map. And I give extra points to this game because the developer added the mini-games and HOGs to the main menu for replay after the game is completed...which should be a standard feature for all these adventure HOGs. On the flip-side, the developer didn't add any morphing objects or extra hidden items in each scene like most games do standard nowadays. But overall...it's a good game and deserves better reviews than people complaining about the trial time being short. I can't comment on the story line, etc, because I only play the game and skip everything else, including the sound. First, the trial game was over in the blink of an eye, so the game might be short, also, and trying to get a real feel for it was limited. The graphics were good, and the objects in the HO game were pretty easy to find. The puzzle games were boring. You can switch to another game, mahjong, if you prefer. I don't, but it forced me to change it anyway. Why? I changed back right away. There was WAY too much back and forth, but there is a map in the notebook where you can teleport to other locations. I don't like having to go into the book to click on the map tab every time I want to move. The map should be a separate icon. So, I won't be buying this one, even when the price is reasonable. Not the best game I've played either. 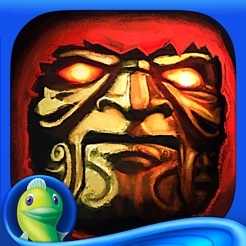 Liked the story, graphics, (loved) the map and voice over. I liked the mahjong option on the HO play. Not fond of some of the mini games or poor strategy guide and the bonus content in the middle was...different, even a bit odd but not necessarily a bad thing. Must say, this is the first game - in a long line of games - that I used the skip button on a mini game...two in fact, as they were so tedious they became more boring than worth completing. In terms of game length, it seemed short but it may be that the storyline was that good...not sure. I know I would play a second version of this game based on story alone. Reminded me of the Theatre of the Absurd, which was a definite Five Star game.